SeaTwirl and Siemens have entered into a cooperation agreement which takes SeaTwirl closer to the goal of becoming a leader in floating wind power. SeaTwirl and Siemens are looking forward to a long-term cooperation focused on the technical parts of a floating wind turbine. SeaTwirl is working according to plan towards the goal of launching a commercial size turbine in 2020. By entering into a strategic partnership with Siemens, a big and important step towards that goal has been taken. ”Siemens is working for a smart and digital industrial production where renewable energy will lead to sustainable industrial production. 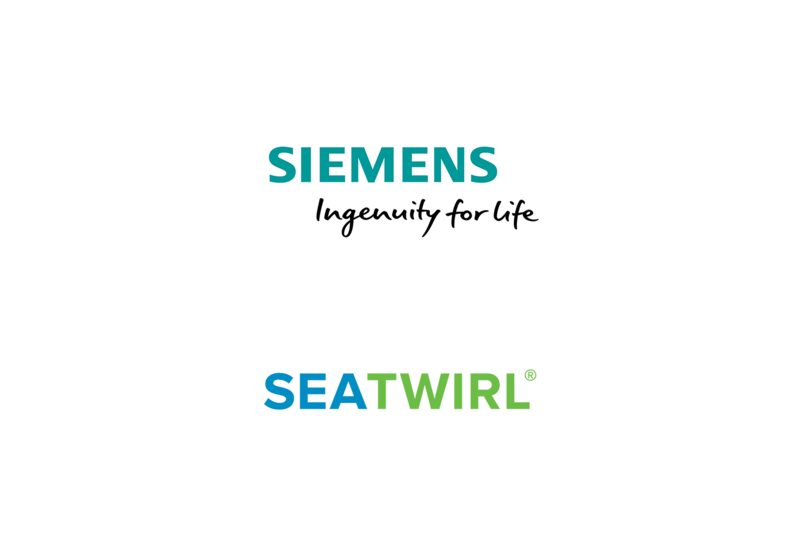 Siemens views supporting SeaTwirl with our sustainable solutions as strategically important”, says Göran Persson, division head Digital Factory/Process Industries and Drives, Siemens AB. ”Our technology has the potential to change how floating wind turbines will be built in the future. A cooperation with Siemens is important for realizing our goal of becoming a leading player in floating wind power. This agreement is part of our journey towards that goal and is naturally therefor very pleasing for us”, says Gabriel Strängberg, CEO of SeaTwirl. Siemens is global company with innovative solutions for intelligent infrastructure, sustainable energy, efficient manufacturing and healthcare through electrification, automation and digitalization. In 2017, Siemens AG had a turnover of 83 billion euro and 377 000 employees in over 200 countries. Siemens has been in Sweden since 1893 and has about 4 200 employees in about 40 locations with headquarters in Stockholm. Siemens Sverige had a turnover of about 16 billion SEK in 2017.